If you've recently shopped at Coles and enjoy giving feedback on your experiences, then Coles are waiting to listen to you, and the best bit is that they'll reward you for your time. All you need to do is keep your till receipt to hand, hop online here and fill out a short feedback form. In return for your time, you can then choose to receive either 1,000 bonus Fly Buys points or $5 off your next transaction over $100 in store. In addition to this, you'll also be entered into their competition to win a $1000 gift card. 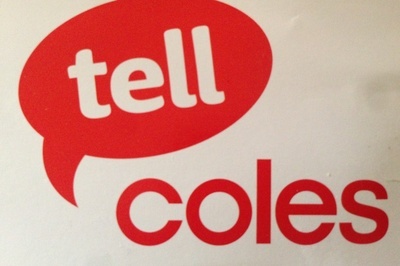 So whether you've had a good experience, a bad experience or an indifferent one, Coles want to hear all about it, and it's a quick way to get some money off your shopping bill. As a loyal Coles customer who shops at Hoppers Crossing (Store 0691) most annoyed unable to purchase Casa cranberries 200 gram pack or McCormick slow cooker 40 gram packs. Advised at Store Casa no longer on re-order manifesto. WHY NOT? Why do products just disappear from your stock. we know where everything is and we know almost all the staff there. They are always friendly and courteous and very helpful at all times. Today we have been shopping at Coles in Rockingham City and we found the staff great and very pleasant to customers. The range of goods was fine and we enjoy shopping there. 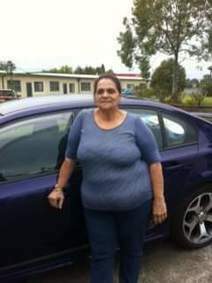 Refer coles store5686 we went thru reg 9 on 19.10.2014 receipt no 2953 11.29am were served by Jason he was very helpful and polite as his original register would not open and we had to transfer to next register..he is a very pleasant young man. I have been to Shopping at cole at Whithfords & I think it would have to be the worst Coles in perth..I can see why don't don't get busy like other Coles stores and why everyone goes to Woolworths cause there look more inviting.They need to take a look at Coles at Warwick I love shopping their now.They need to change the entrance at there store and do it like Warwick & Have Fresh fruit .There meat section need to be looked at & have there meat like Woolies.I won't to buy meat there to get points but just can't just doesn't look inviting to me.I don't mind driving the extra miles to Warwick I'm happier there.I no so many other people drive there to and shop more at wollies like I do.So I think this store need to have a have a make over.And have there fruit & veg shelf full before opening not wait till stores open then start full shelf.I went there last Friday and there were 3 tables in the front of store empty.And have fresh salads out.Its a very bad store you need to take a look at it.But thumbs up for Warwick there alway packed with customer great store I luv to shop there there the best good service fruit & veg bright & colourful great meat as we'll Theyer the best. That's great feedback, if you fill in the Coles Survey - you'll get $5 for doing so...the link is in the article so I would definitely give this a go. Wow.. amazing.. thanks for posting this on the forum! I have been doing this regularly. You can provide feedback once a month which can add up to a great saving of $60 a year. I think this forum is cool, there are a zillion such things we've formed as a routine habit that it escapes our special attention or mention. This forum paves the way for us to share our little ideas with others and benefit mutually.